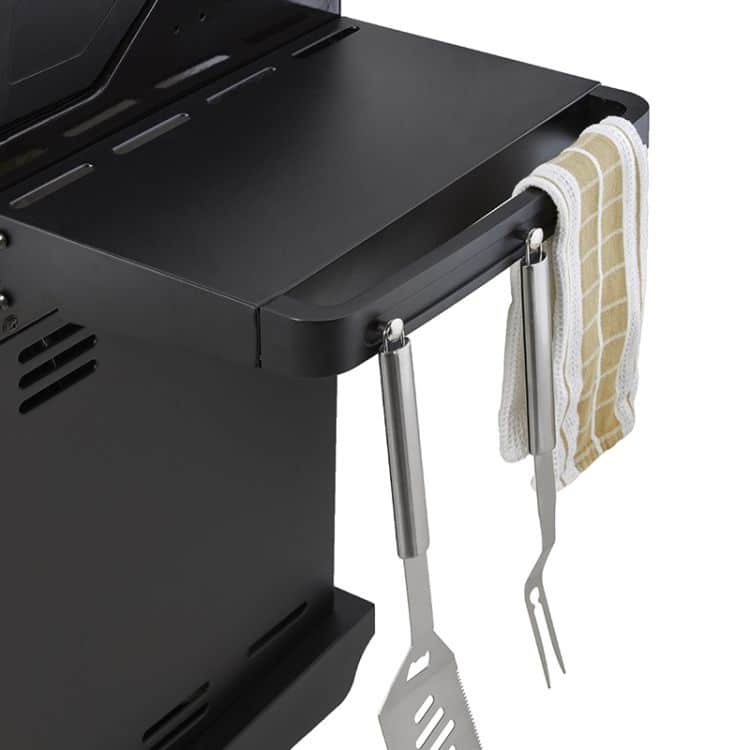 Are you ready to take your grilling to the next level of performance? 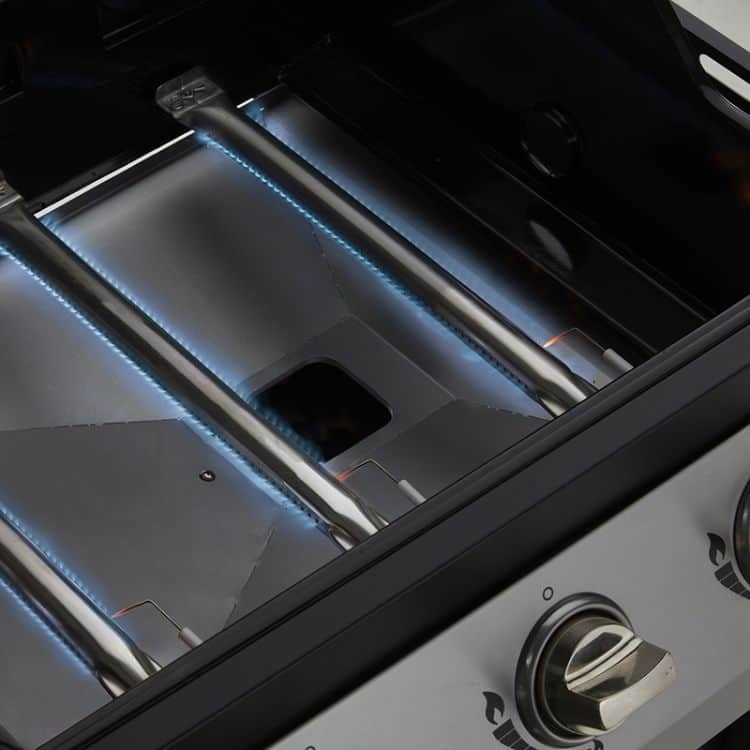 This Dyna-Glo grill will equip your patio or deck with a durable, high-performance cooking system that friends and family will gather around for many years to come. Not to mention your envious neighbors. 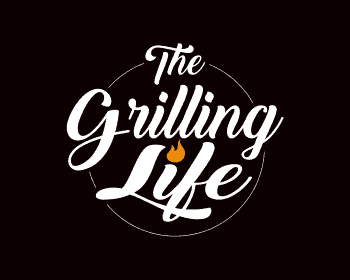 With a track record of long-lasting products that help you achieve perfectly grilled, flavorful food, it’s no wonder consumers consistently rate our grills as ‘a cut above’ the others. The durable lid construction is highlighted by a double-wall liner to retain heat, along with heavy gauge, powder-coated steel end caps for stability. 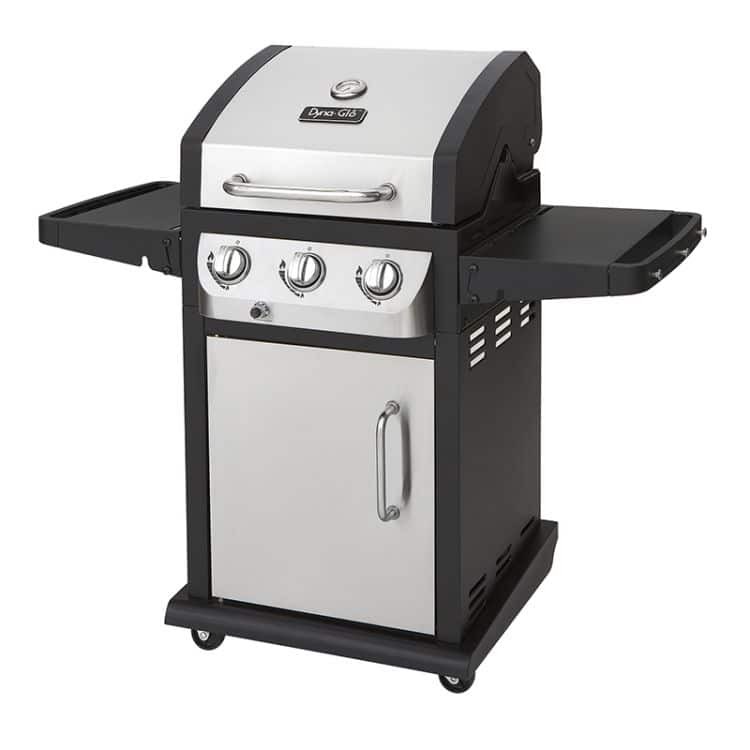 Further lending to the grill’s sleek design is an enclosed cabinet assembly that includes a stainless steel, double-wall door. 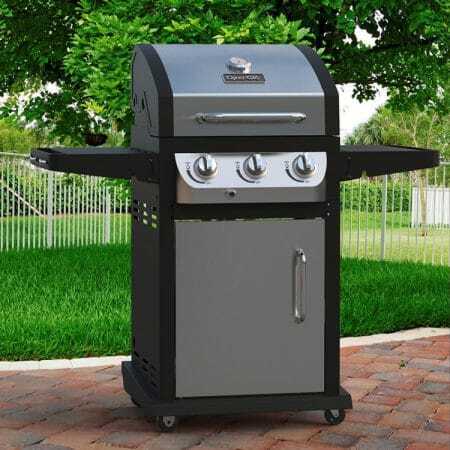 Four multi-directional (two locking) casters allow you to easily relocate the grill. 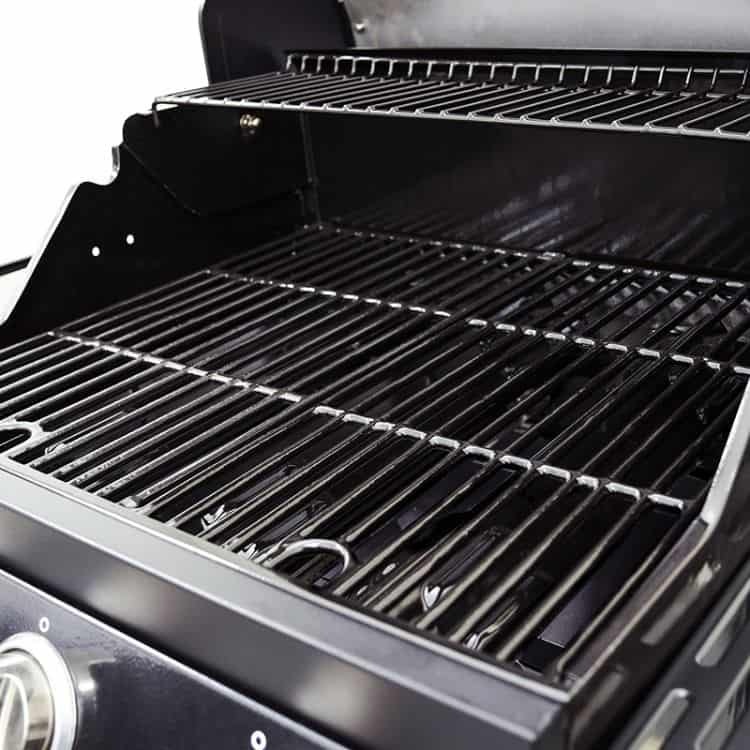 With the simple push of a button, the power of this gas grill takes charge, and you’re only minutes away from enjoying juicy burgers, succulent steaks, evenly cooked chicken and much more. With such high-performance grilling only steps away, you’ll want to raise the lid on your Dyna-Glo whether it’s rain, shine or snow. Side tables, made of powder-coated steel, are perfect for resting plates and containers while you grill. 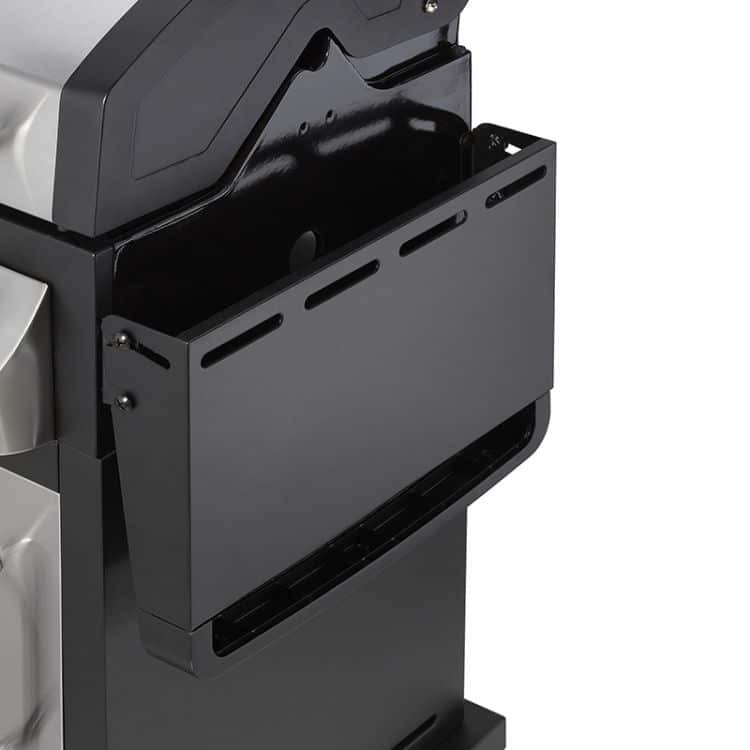 Each side table supports up to 25 pounds and integrated tool hooks and towel bars free up even more space. Commercial-grade & stainless steel burners deliver 36,000 BTUs of steady heat. Porcelain-enameled, heavy gauge steel heat tents protect burners, distribute heat evenly across the cooking surface and vaporize food’s natural juices to deliver flavor. Cast iron grates retain heat while the porcelain-enameled finish transfers the heat directly to the food. Ideal for searing and locking in food’s natural juices. High-gloss, black finish is easy to clean and maintain. Chrome-plated, infinite setting control valves and an easy-push Electro-Pulse Ignition for quick start-up. Collapsible side tables allow you to free up even more space when the grill is not in use. The compact design offers maximum cooking power with minimal footprint. Built-in, stainless thermometer for accurate temperature control and an easy-to-read gauge helps you achieve perfectly cooked foods.